Cherry Page Evans, 77, of Nashville, NC passed away Saturday January 16, 2016. Born July 19, 1938 in Wilson, NC, she was the daughter of the late Albert Ralph Page and Frances Jones Page. She was the wife of Jackie Morris Evans Sr., her devoted husband of 58 years. Cherry grew up in Rocky Mount and graduated from Rocky Mount Senior High School in 1956. In 1957, she married Jackie M. Evans. Shortly after, they began their journey of raising their family in Rocky Mount and then moved to San Mateo, CA in 1965. She worked for Pacific Bell Telephone for 18 years until she retired and moved back to NC. Cherry was an active and lifelong member of The Church of Jesus Christ of Latter-Day Saints. She was a generous person who was passionate about genealogy and cooking. Her kitchen and cookbooks were a source of great joy, especially when she was cooking for others. 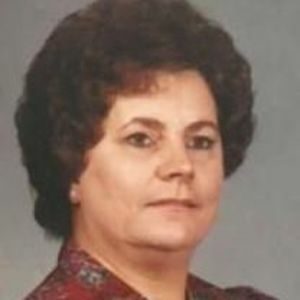 In addition to her loving husband, Cherry is survived by her 3 children, Jackie M. Evans Jr. And wife Kamie; Sherry K. Zuniga and Jeffrey P. Evans and wife Traci; 6 grandchildren and 3 great-grandchildren and brother, Albert Ray Page. She is preceded in death by her sister Karen E. "Buddy" Matthews and half-brothers; T. Archie Page and George E. Page and half-sisters; H. Estelle Best and Gwendolyn M. Hudson. Funeral service is scheduled for Thursday, January 21, 2016 at 2:00 PM at Johnson Funerals and Cremations, 661 English Road, Rocky Mount, NC. Visitation will be held from 1:00 PM until 2:00 PM in the chapel at the funeral home. Burial will follow after the funeral service in Pineview Cemetery.